We know that we can aggregate/summarise multiple network statements that are sequential/contigious into a single advertisement. 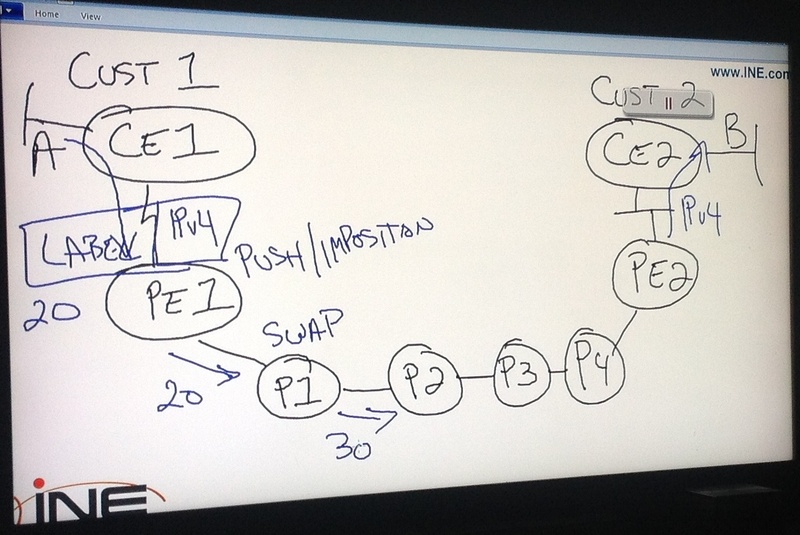 This is how it is done using BGP.. The router sees the aggregate and places it into its BGP table. Note that by default, the more-specific routes are not removed from the BGP table. With our IGP protocols, the specific networks disappeared from the routing table, NOT with BGP. To further extend this command… If you also use the as-set option, the path advertised for this route will be an AS_PATH that was traveled by all of the more-specific paths being aggregated. Cisco recommends that you do not use this option when a great number of paths are being aggregated, since the aggregate may be removed, updated, and replaced as AS-path reachability changes. Why aggregate routes in the first place? For the same reason we did so with other protocols – route aggregation lessens the load on router resources by making the routing tables smaller while still being complete and accurate. With this command, the BGP sessions themselves are reset and the neighbor adjacencies are lost. The adjacencies you see here came back within 20 – 40 seconds, but BGP reachability was lost during that time. iBGP neighbors do not have to be directly connected. The connection between iBGP routers is on TCP port 179. It’s common practice to use a remote router’s loopback address in the neighbor statement, rather than the closest physical address. This allows us to keep our BGP adjacencies in situations where losing the physical address would result in losing that adjacency. *This means that when a iBGP speaker learns about a route from an iBGP peer, the only kind of BGP router that route can then be advertised to is an eBGP router. iBGP routers do not advertise routes received from one iBGP neighbor to other iBGP neighbors. The only way round this is to have a full mesh in each AS, which is not realistic on the internet! BGP has a solution to this dilemma. The BGP rule of synchronization only matters when an AS is going to serve as a transit area, and if there are non-BGP speakers in the transit area. The BGP Rule Of Synchronization states that a transit AS will not advertise a route until every router in the transit AS has the route in its IGP routing table. BGP Synchronization’s major benefit is that packets that can’t possibly reach the desired remote network will not even be sent, reducing both the amount of unnecessary traffic and the unnecessary strain on router resources. 1. If all the routers in the AS are running BGP. 2. If a full mesh exists in the AS. 3. If the AS is not a transit AS to begin with. To do so, simply run the BGP command no synchronization. 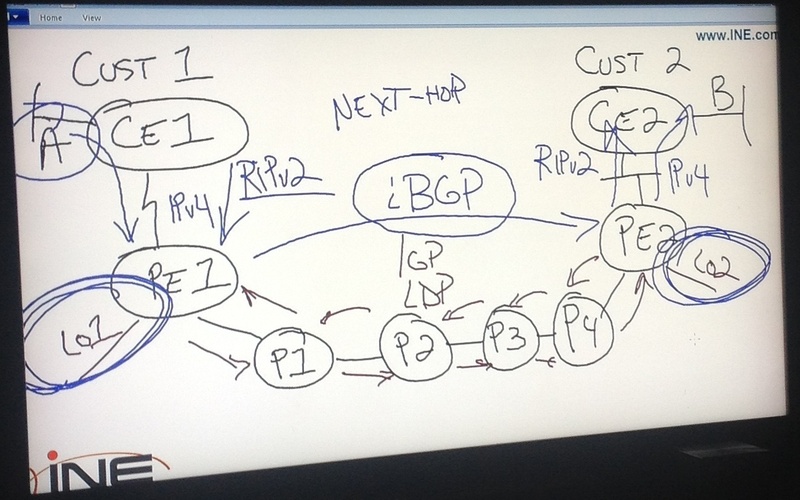 BGP Split Horizon is much different that what we are used to with routing in the CCNA. BGP Split Horizon states that one iBGP peer can’t learn about a path from one iBGP peer and then advertise it to another iBGP peer. Therefore, we would need a logical full mesh among all iBGP speakers in an autonomous system. Any full-mesh deployment of BGP is going to have a large cost on the router’s resources (memory, CPU). A full mesh is going to require a large number of TCP connections, and the more routers you have, the more connections you’ll need. A full mesh setup will use a lot of bandwidth. Time consuming to setup and admin overhead is a nightmare. If you’re in an all- Cisco environment, it makes sense to change the weight of a route to make it the preferred route, since that is the first criteria checked. The default weight is 0, so we’ll use the neighbor command to set the weight for all routes learned for a specific network with a custom weight value. Since the weight attribute is Cisco proprietary, so in a multi-vendor environment we’d change the local pref to get a similar result. This optional attribute gives the BGP Router ID and AS number of the router that performed the aggregation. The aggregator attribute will also include a list of all the AS numbers that these aggregated routes passed through. If we have a scenario whereby 2 routers with iBGP peers, have 2 ways to break out of the AS, we can influence this exit traffic by changing the local pref attribute to something higher than the default of 100. When the local preference of a path is changed, all routers in the AS will learn about it. One way of doing this is to change the default local preference for a router as a whole, which means that every update the router sends out to other devices in the same AS will carry this new local preference value. The BGP network mask must match the IP routing table’s mask exactly in order for the route to be successfully advertised via BGP. There are two classes of BGP Path Attributes, well-known and optional. There are also optional attributes, both transitive and non-transitive. An unrecognized non-transitive optional attribute will not be passed on to other BGP speakers. The source of the routing update itself can be viewed with show ip bgp. “?” — Actual origin unclear; learned via route redistribution. *Those are shown in order of most preferred to least preferred, from top to bottom. This attribute shows the autonomous systems along the path to the destination network, including the AS the destination network resides in. The shortest AS path is the preferred path. The AS_PATH attribute helps to prevent routing loops; if a router receives an update and sees its own AS number in the path to a destination, that route will be discarded. In this example, the only AS shown in the path is the AS the network resides in, AS 200. We know that it is Cisco best practice for eBGP neighbours to be directly connected, however we can setup neighbour adjacencies when not directly connected via eBGP using loopback interfaces. Loopback key point: Loopback interfaces are not considered directly connected even if they share a common subnet. The ebgp-multihop command is required to specify how many hops away the neighbour is. The update-source command is used to specify the loopback as the source interface. eBGP neighbours will require a static route to reach the loopback interface, as by default this loopback address will not be in the routing table. 3 Common Reasons why a eBGP adjacency will fail..
A peering has been configured for an eBGP router that is not directly connected, and the ebgp-multihop option has been omitted. An ACL is blocking TCP port 179. BGP is an external routing protocol used primarily by Internet Service Providers (ISPs). An Internet protocol that enables groups of routers (called autonomous systems) to share routing information so that efficient, loop-free routes can be established. BGP is commonly used within and between Internet Service Providers (ISPs). An AS will use Exterior Gateway Protocols (EGP) to exchange updates with other ASes. Interior Gateway Protocols such as OSPF and EIGRP have their place as well, and that place is inside an AS. 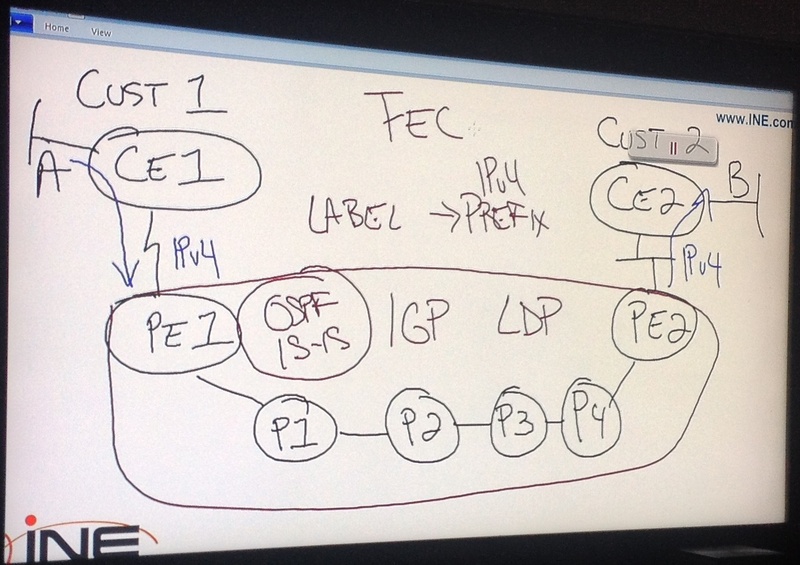 Routes learned via BGP can be redistributed into an IGP, and vice versa. 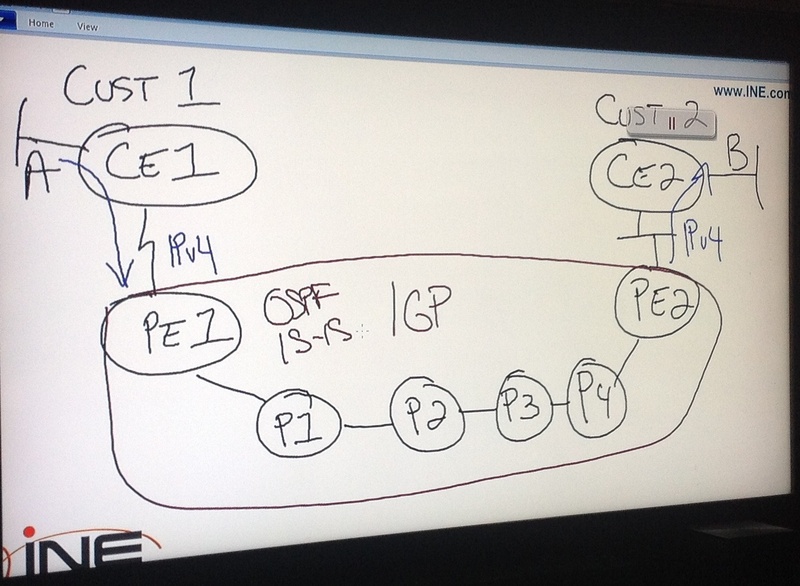 BGP supports VLSM and summarization. BGP will send full updates when two routers initially become neighbors and will send only partial updates after that. BGP does create and maintain neighbor relationships before exchanging routes, and keepalives are sent to keep this relationship alive. BGP path information comes in the form of attributes, and these path attributes are contained in the updates sent by BGP routers. Attributes themselves are broken up into two classes, well-known and optional. BGP also keeps a routing table separate from the IP routing table. When Should BGP Not Be Used? When there is a single connection to the Internet or to another autonomous system. No redundant link to the internet is present. Situations where you don’t really care what path is used to reach a route in another AS. When router resources are a concern (memory and CPU). When there is a low-bandwidth connection between multiple autonomous systems. In this situation, static and default routing may be a better choice if any of these circumstances exist. 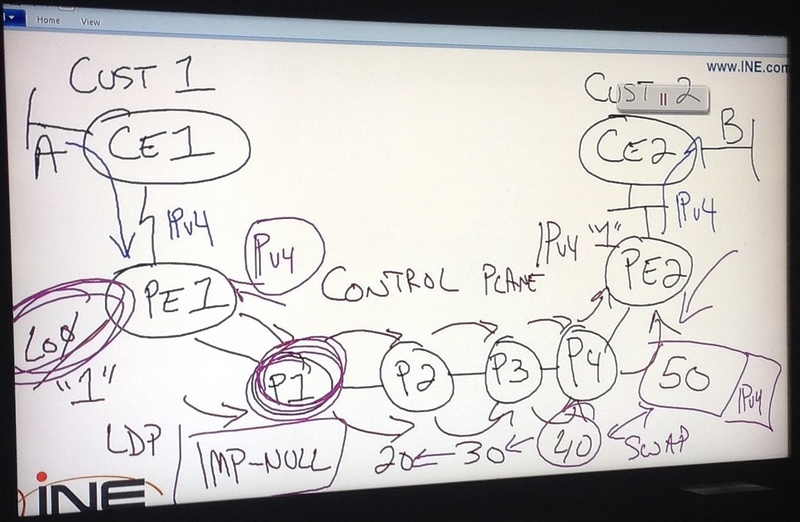 Like TCP, BGP is connection-oriented (“reliable”). An underlying connection between two BGP speakers is established before any routing information is exchanged. This connection takes place on TCP port 179. As with EIGRP and OSPF, keepalive messages are sent out by the BGP speakers in order to keep this relationship alive. Hint: TCP port 179 is a good port to leave unblocked by ACLs. The IGP protocols that use Autonomous Systems, IGRP and EIGRP, require prospective neighbors to be in the same AS. This is not true with BGP. Routers can be in different Autonomous Systems and still exchange routes. A BGP peer that is in the same AS as the local router is an Internal BGP (iBGP) peer, where a BGP peer in another AS is an External BGP (eBGP) peer. 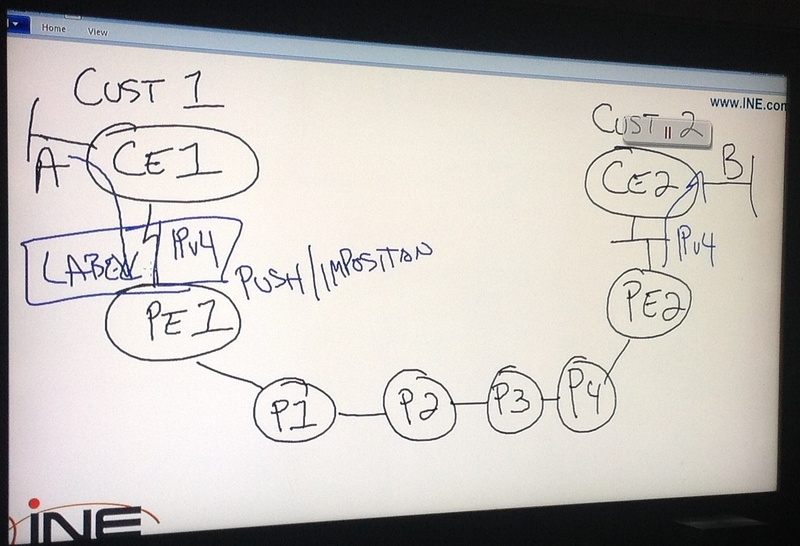 That little “i” or “e” makes a big difference when it comes to advertising routes and other BGP behaviours. Cisco recommends that eBGP peers be directly connected. iBGP peers are not required to be directly connected and generally aren’t. The neighbor statement is used to statically define neighbors. BGP is not capable of discovering neighbors dynamically. 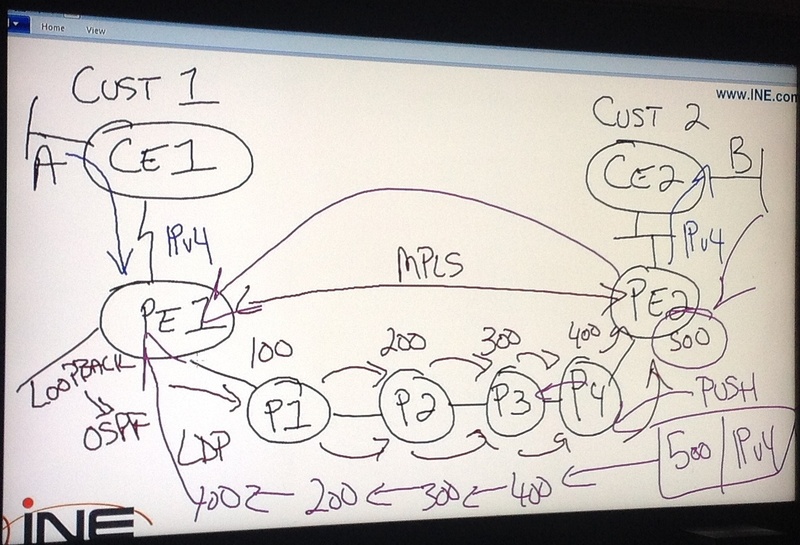 To verify that the remote BGP speaker has become a peer, run show ip bgp neighbor. The IP address in the neighbor statement (this is usually the issue). Make sure you have a neighbor statement for that remote router. Make sure your local router knows how to get to that same address. Idle is the initial state of a BGP connection. The BGP speaker is waiting for a start event, generally either the establishment of a TCP connection or the re-establishment of a previous connection. Once the connection is established, BGP moves to the next state. While we’re at it, make sure you have a neighbor statement for that remote router. Connect is the next state. In this state, a TCP connection request has been sent but a response has not yet been received. If the TCP connection completes, BGP will move to the OpenSent stage; if the connection does not complete, BGP goes to Active. Active indicates that the BGP speaker is continuing to create a peer relationship with the remote router – basically, this is the halfway point of the connection. The local router has successfully sent a BGP Open packet to the address in the neighbor statement, but it hasn’t heard anything back yet. And my personal favorite – make sure your AS numbers are correct, especially if the connection is flapping between Idle and Active. OpenSent indicates that the BGP speaker has received an Open message from the peer. 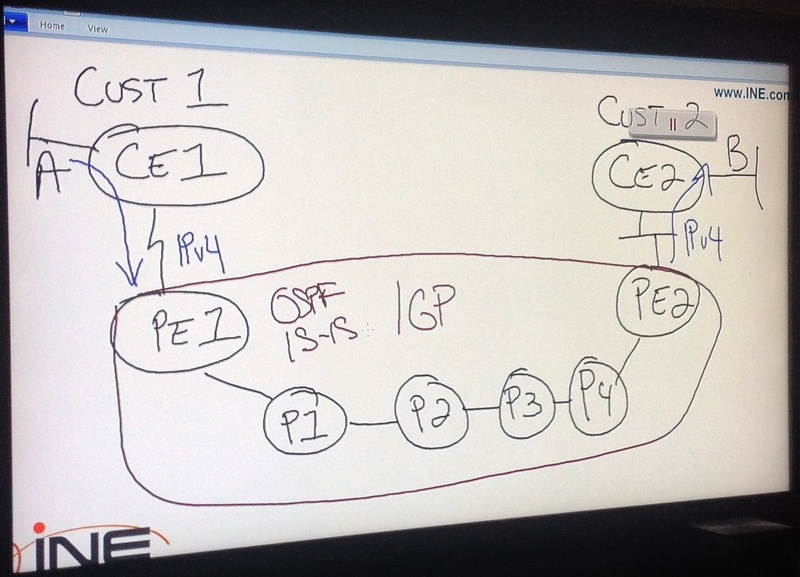 BGP will determine whether the peer is in the same AS (iBGP) or a different AS (eBGP) in this state. In OpenConfirm state, the BGP speaker is waiting for a keepalive message. If one is received, the state moves to Established, and the neighbour relationship is complete. It is in the Established state that update packets are actually exchanged.